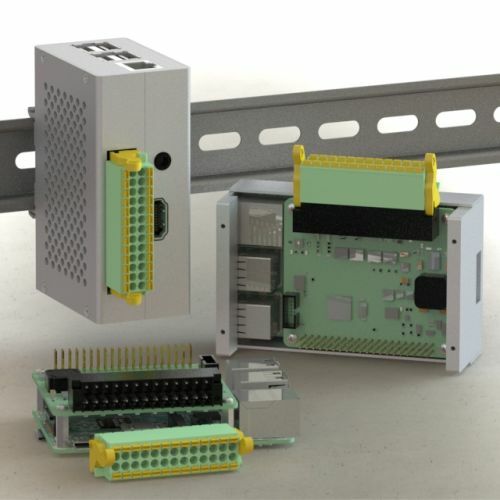 Turn Raspberry Pi minicomputer into a PLC or a mini industrial PC (IPC) and use it in your automation project. Those are the applications we had in mind when we designed the add-on board which we call the Monarco HAT. Download full technical specification of the Monarco HAT and review the assembly instructions. It's the software which brings any hardware device to life. 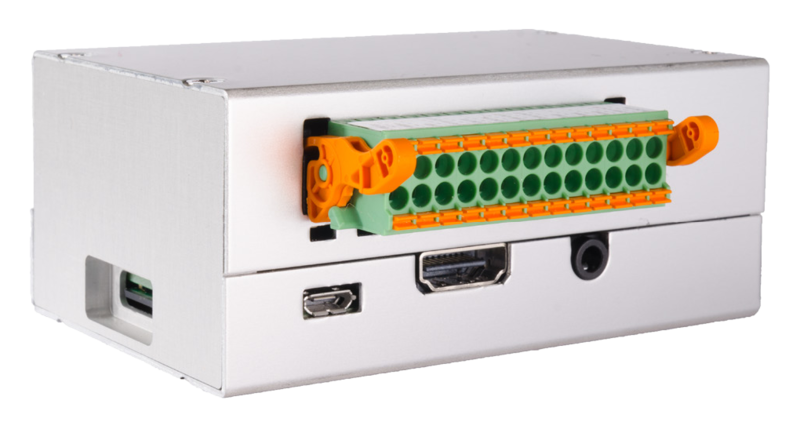 Use the Monarco HAT with the software platform of your choice. Our first choice for programming is REXYGEN, a family of software products for projects in automation, robotics, data acquisition, process control and feedback control in general. REXYGEN offers a graphical development environment for programming the algorithms. You can use standard desktop or laptop PC. You create the algorithms from the so-called function blocks. The library includes countless items (timers, comparators, filters, PID controllers and many more). We understand the value of open source software and freedom of choice. 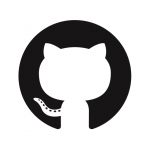 All the Monarco HAT resources are available in a public GitHub repository. Explore the Getting started guide for using the Monarco HAT with REXYGEN. Looking for a local Monarco HAT distributor? Then check out the list of Monarco HAT resellers. 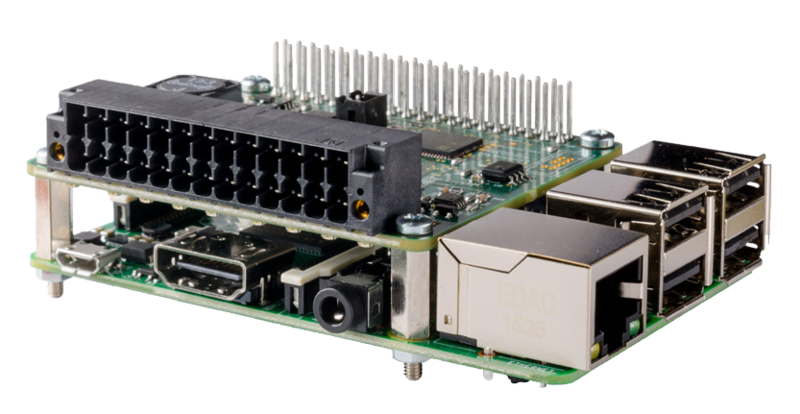 A 'HAT' (Hardware Attached on Top) is an add-on board for Raspberry Pi that conforms to the HAT specification published by the Raspberry Pi Foundation. Can I use multiple HATs with a single Raspberry Pi? No, HATs are not stackable by definition. A HAT has to have an EEPROM onboard that automatically configures it. This mechanism does not support stacking and will just fail if you try it. Is the MCU of the Monarco HAT meant for running my own algorithms? No, the internal MCU of the Monarco HAT only handles the input and output signals and communicates with the Raspberry Pi, the one and only "brain" to run your algorithms. 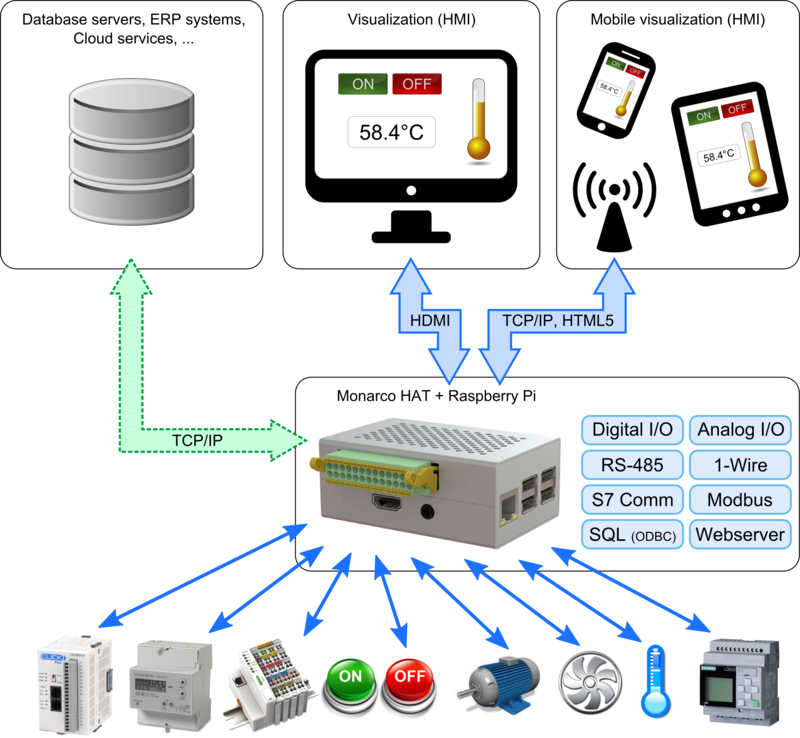 How does the Monarco HAT communicate with the Raspberry Pi? 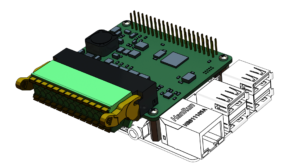 Monarco HAT is connected via SPI and it also contains a few I2C devices onboard. 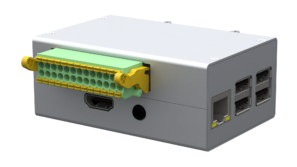 RS-485 bus occupies the UART of the Raspberry Pi but it can be disabled. See the full technical specification of the Monarco HAT and the Monarco HAT documentation on GitHub for details. Can I still use the GPIO pins of the Raspberry Pi? 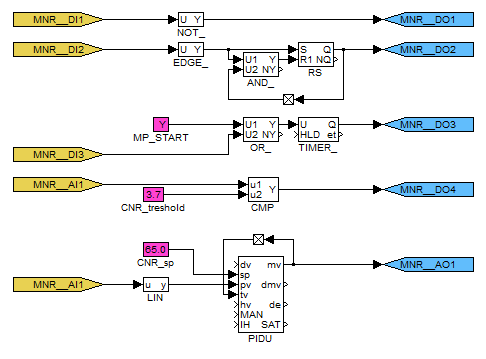 Apart from SPI-0, UART, I2C-0 and I2C-1, the only GPIO pins occupied by the Monarco HAT are GPIO20, GPIO21 and GPIO26. You are free to use the remaining GPIO pins of the Raspberry Pi. See the full technical specification of the Monarco HAT and the Monarco HAT documentation on GitHub for details. When will I receive my Monarco HAT? We typically ship the Monarco HATs in 1-2 business days after your order is placed. Delivery time is about 3-5 business days within Europe and 10-12 days outside Europe. 1-Wire is a trademark of Maxim Integrated Products, Inc.